1891 On the 17th of March, the Utopia, a merchantman of the Anchor Line from Glasgow came to Gibraltar. 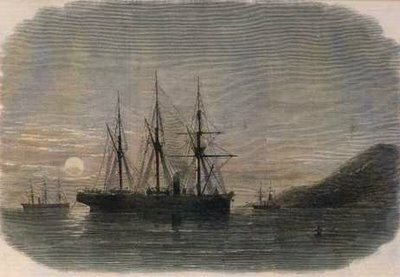 Her passengers included some 800 Italian emigrants bound for New York. 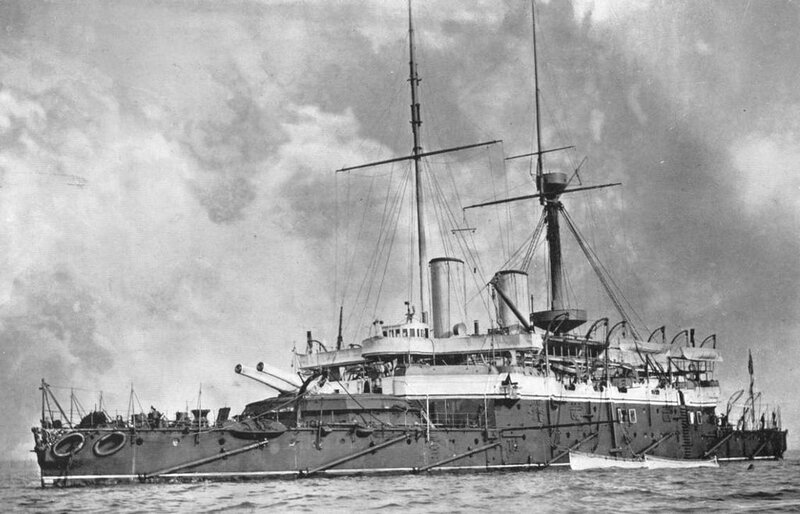 In the bad weather, the skipper misjudged his manoeuvre and steered his ship into the underwater ram of the HMS Anson, one of several warships anchored nearby. The result was a major disaster involving over 550 dead. 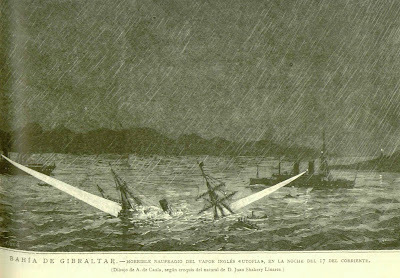 As a young woman Maria Luisa (2.4) witnessed the tragedy. 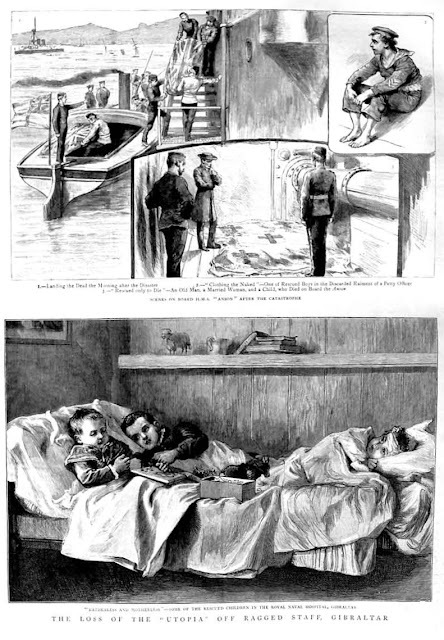 While at home in Crutchett's Ramp, she had heard the sounds of gunfire and ships' sirens and although the weather was foul she went down to La Bateria, which in those days was a sea wall. There she heard the cries of the people in the sinking ship just several hundred yards offshore. 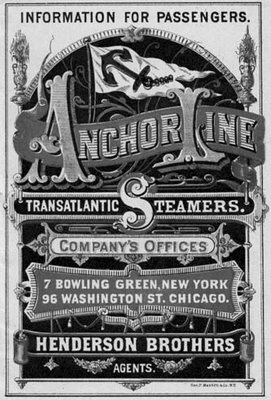 Curiously, eyewitnesses at the time suggested that if the Captain had kept to his original course there would have been no disaster. 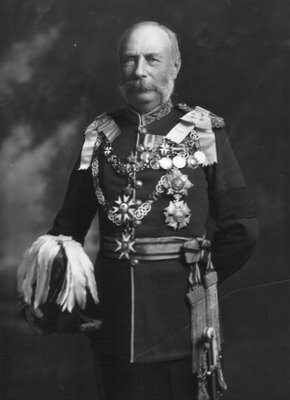 The Italian Government later awarded decorations for bravery to servicemen and civilians who were involved in the rescue operations. For some time after many people refused to eat fish. Apparently a rumour had gone round that a child's hand had been found inside the belly of a large red sea bream or pargo. It also seems that funds had to be raised by charity to help the out-of-work fishermen. 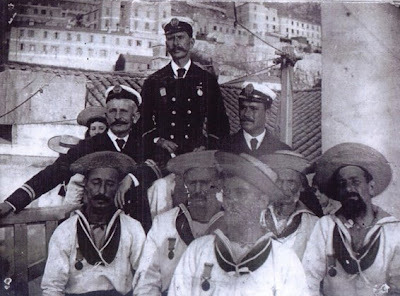 Members of the Gibraltar Port Department wear the medals awarded for bravery during the Utopia disaster. 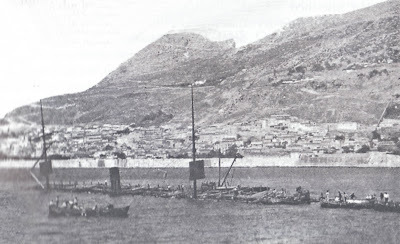 The wreck of the Utopia in Gibraltar harbour. 1893 The census showed a civilian population of 19 011. This was an increase on the previous count and suggested a modest upturn in the economic situation on the Rock. Shortly afterwards General Sir Robert Biddulph became Governor of Gibraltar. In July the extension to the New Mole was started. 1894 By now George Letts (2.3) was 27 years old and was working as a telegraphist for the Eastern Telegraph Co. Ltd., a forerunner of the Cable and Wireless. My grandfather, John Francis George Letts (2.3) third left with friends. 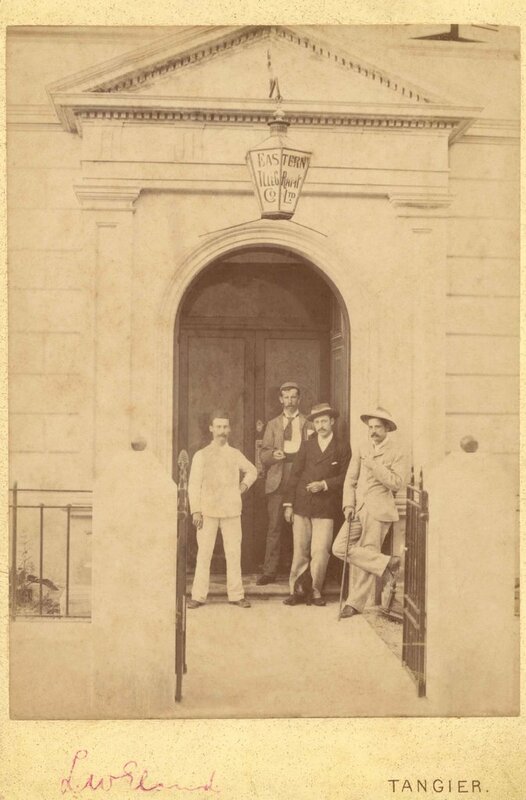 The photo above was taken in 1894 outside the Eastern Telegraph Co. Ltd in Tangier. George is holding a puppy between his legs. Despite the indecipherable name of the professional photographer, the back of the card identifies the Spaniard Cavilla as having printed it. 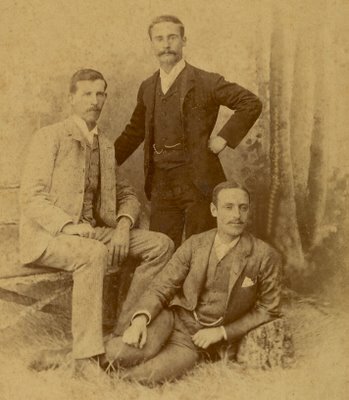 Many of the family photos of the era were taken by him. 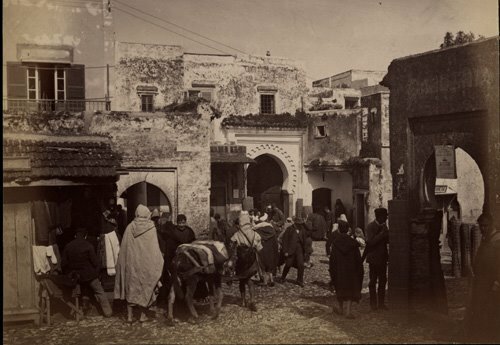 Apparently he was one of the first photographers to establish a studio in Morocco. Detail of previous photo. 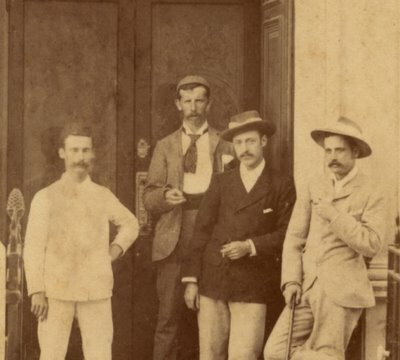 The unknown man on the right with a walking stick looks a real dandy. A contemporary photograph of Tangier taken by Cavilla. My Grandfather George Letts (2.3) in Tangier with friends. He looks very much like his grandson Eric in this photo. I think the fellow standing on the right is his brother Joe Letts. 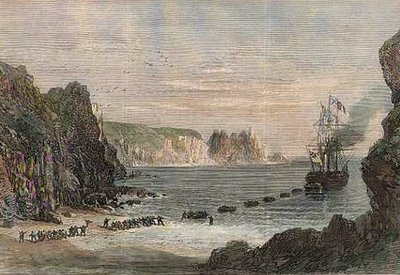 At one of the stations, either Diego Suarez or Lourenço Marquez, he would get a seven gun salute on his return whenever he left the place. The reason was that the senior ETC official was also automatically the British Consul of the area. During his stay at the Tangier station, if he had to go anywhere at night he did so with a servant walking ahead with a lantern. For good measure he always carried a revolver in his pocket. Tangier was not a safe place for Europeans. 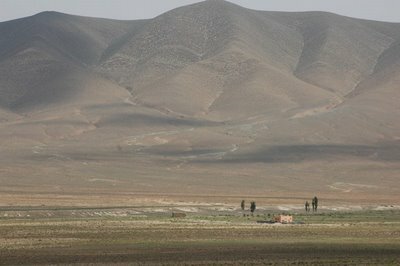 He also practised the sport of pig-sticking in the region of the Rif Mountains known as Ketama, traditionally a cannabis-growing area where the produce is known as Kif.